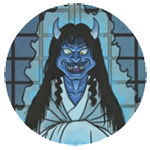 APPEARANCE: Kudagitsune are a type of tsukimono—a spirit that can possess and manipulate humans. They are a breed of tiny, thin, magical foxes, about the size of a rat. They are usually found in the service of sorcerers and fortune tellers. Because of their diminutive size, they can be conveniently hidden on the body, tucked in a sleeve or pocket, or carried inside of a matchbox or a bamboo pipe (from which they get their name). BEHAVIOR: In the wild, kudagitsune behave like other small mammals such as foxes, stoats, and weasels. They keep to themselves and usually remain hidden from humans. Only rarely does a kudagitsune allow itself to be tamed and brought into a human household, where it serves as a magical familiar. INTERACTIONS: Kudagitsune are used by sorcerers in divination rituals and to place curses upon people. They loyally serve not just one person, but the whole family. 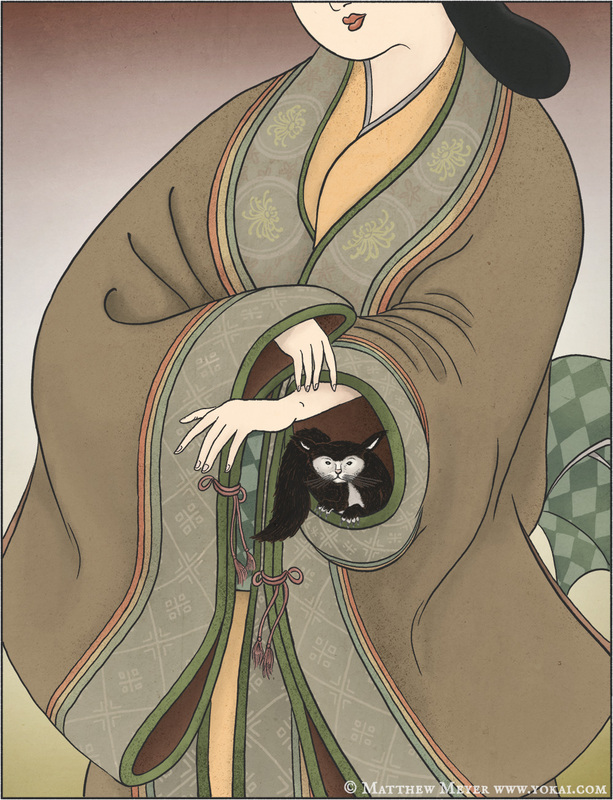 Families with kudagitsune have the ability to tell fortunes, make prophecies, as well as send their kudagitsune out to haunt their enemies (or the enemies of their clients), causing sickness and ill fortune. As a result, these families are often distrusted or shunned by their neighbors. Households with kudagitsune are known by various names such as kuda mochi, kudaya, kuda tsukai, izuna tsukai and kudashō. Kuda mochi families are able to use their powers to acquire any goods or furnishings that they might want. Therefore, kuda mochi families often become wealthy and powerful very quickly. However, as these families grow, they tend to acquire more and more kudagitsune. These spirits will breed quickly until there are upwards of 75 individual kudagitsune. Keeping too many kudagitsune will bring a family to ruin, as the creatures eat them out of house and home. At the same time, culling them to keep their numbers in check is risky due to their powerful magic, and giving them away to disciples or other families carries its own risks. ORIGIN: Kudagitsune originate in the mountain shaman traditions of Nagano Prefecture, but have spread throughout the mountainous regions of central and eastern Japan. Because of their diverse range, they are known by various other names from region to region. The most famous of these is izuna, from Mount Iizuna, a mountain in Nagano Prefecture with ancient ties to Shugendō and folk magic.